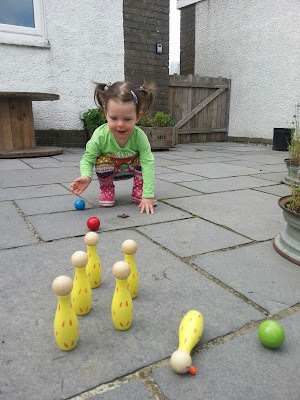 Quoit a lot of fun! This is a great game you can ask a grown up to make so that you and your friends can play at being detectives in the garden. They just need to take photos of some plants and features in the garden and print them on some paper so you can see if you can find them. See if you can remember the plant names too. 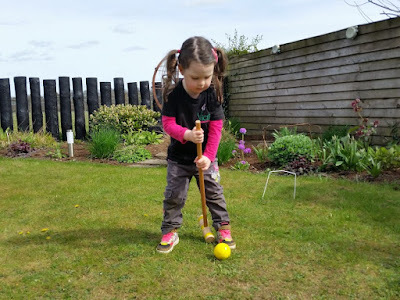 You can use all sorts of things from around the garden to make musical instruments - an old pot as a drum, a bamboo cane as a flute, old seedheads as shakers. Tilda loves these maracas (£5.49) and castanets (£3.99) too with a lovely ladybird finish to tie in with the garden theme. Try some open air theatre... Drag the dressing up box outside and put on a show. Who knows, next summer you could be putting on a Fringe show at the Edinburgh Festival! You can find plenty of snails in most gardens (or we will give you plenty for free!) 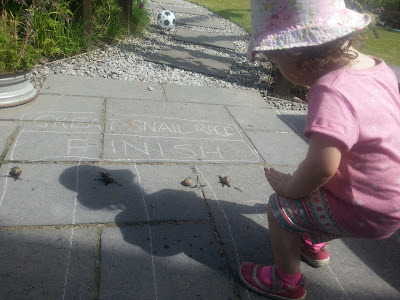 Chalk a race course, choose your snail and off you go! We have plenty of snails which we can race! Mini gardens are sooooo cute. You can have whatever theme you want. 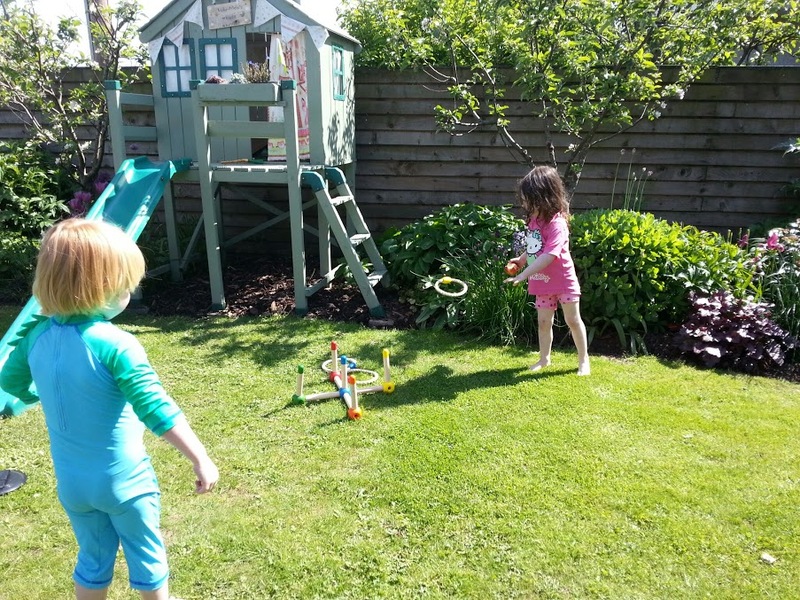 Introduce some of your toys to the garden like Lego or playdough. 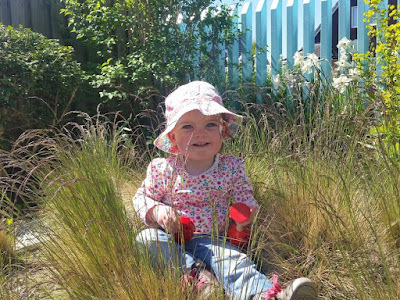 Just get an old shoe box or cake tin and start designing your own garden with plants, grass, maybe even a little washing line! There are fairies in all our gardens and it's nice to leave them gifts sometimes. 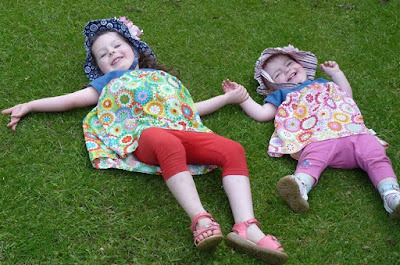 From beds and blankets made from furry leaves to daisy chain necklaces and petal dresses all you need is a little imagination. 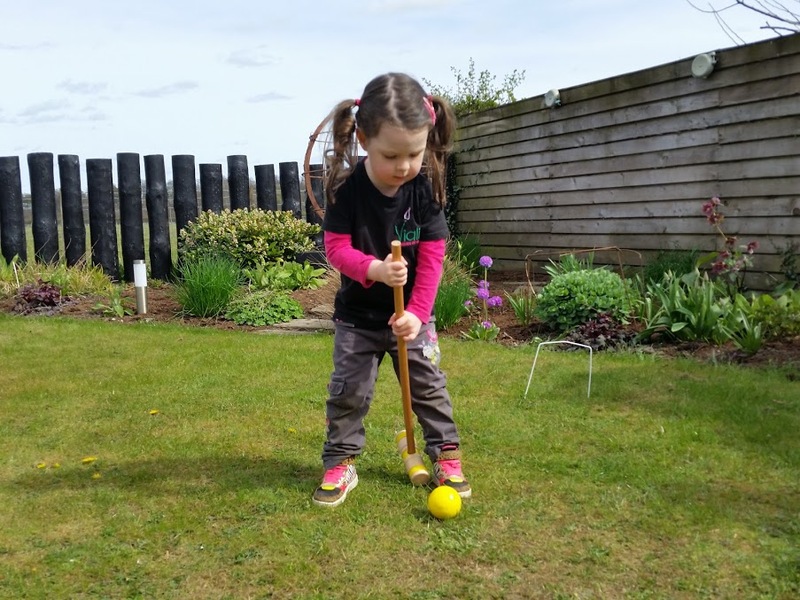 You don't need a perfect lawn to play this game, just put on your most pleading face (and remember to say pretty please) and persuade your big people to buy you this fab croquet set from BigJigs. (£22.99) You will have years of fun playing it. Whatever age you are, everyone loves bubbles. So get outside and start blowing and popping! Pressed flowers look really pretty. You can use some big heavy books to press the flowers but we couldn't resist this adorable flower press kit (£5.49). Use your pressed flowers to make a card to welcome a friend home from holiday, a pretty bookmark for a special gift or just make pretty pictures. Get a giant tractor tyre (farms will often give these away for free when they are finished with them) and fill it with play sand to make a brilliant sand pit with comfy sides to sit on. You could even take it a step further and make a teepee over it by adding bamboo canes and an old sheet as a cover. You could play this with plastic bottles or tin cans but how can you resist this super cute duck set, perfect for all the family (£13.49). What a wonderful way to record the summer holidays. 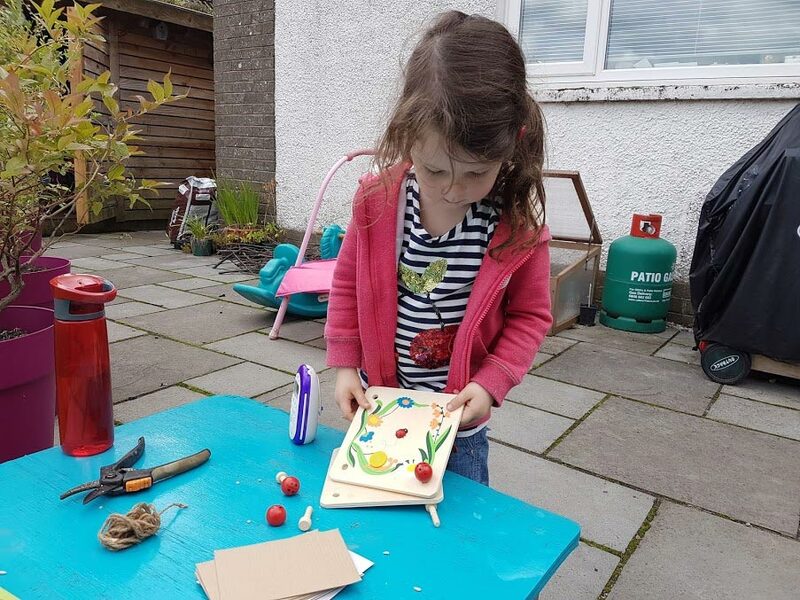 Add in what you see, some of your pressed flowers, stick in leaves, draw some bugs, write down what you are growing, do some bark rubbings... At the end of the holidays you will have some wonderful memories to look back on. I love the garden and crafty projects so this is the perfect combination! Take some corrugated cardboard and make a circle to fit your head. 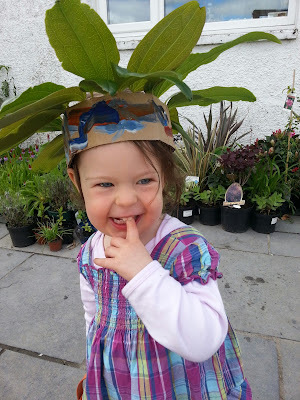 Decorate it by painting or sticking on things you find around the garden. Then collect some leaves and stick them in the holes around the top and voila, you have a crown! Princess Lulu and her magic crown! I'm not scared! Well I'm definitely not scared of the cute bears we look for in our bear hunt anyway! Ask a grown up to hide a selection of your toy bears all around the garden so that you and your friends can hunt for them. Watch out for the thick oozy mud! Make a den from a clothes line, pegs and sheet and set up your own camp site. Make sure you set strict rules as to who can enter your den of course! 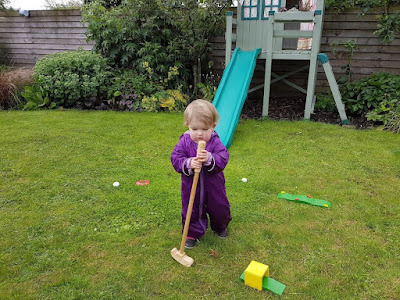 You don't have to be crazy to play crazy golf. But it helps!